Follow this link for details on how you can get to us. 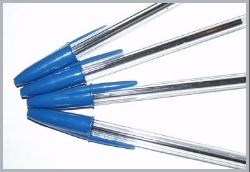 Established in 1971 supplying stationery and printing matter to commercial users i.e. shops, offices and factories. Over the first 10 years we moved a number of times to larger premises, enabling us to keep a larger stock of stationery products and developing our printing department into a safer contained unit. In 1986 we purchased a specialised computer system developed for the stationery trade, enabling us to monitor sales and purchases on a weekly basis, keeping record of individual customers needs, and helping to recognise the changes in new technology products which are constantly changing i.e. computer related items, laser and ink jet consumables. In 1990 we purchased Jordan Woodrows a stationery company who specialised in legal stationery and forms and a producer of various registars to the care and nursing professionals. Some two years later we took over a stationery outlet in Liverpool City Centre called Tutill Nicols a company of over 100 years standing. We can now offer from our present location a wide range of goods, from paper cups to executive desking and seating printed matter from single colour business cards to multi-coloured fully designed brochures.